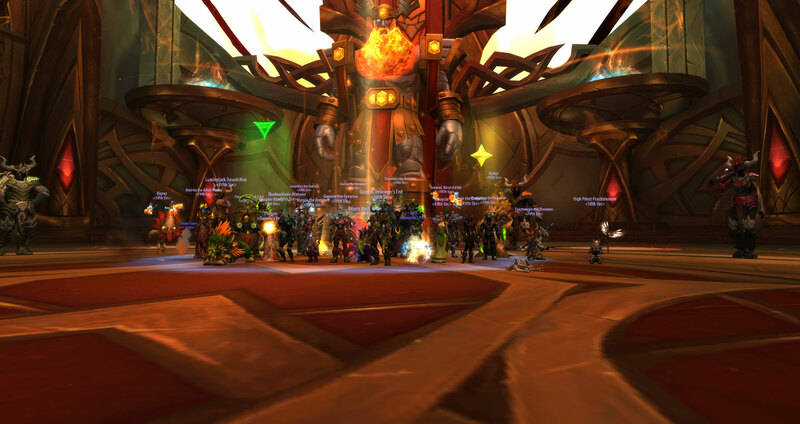 It didn't take us long tonight to down Trilliax on mythic difficulty! As soon as we worked out who eats cakes when, it more or less fell over. After that we headed over to ToV just for the sake of getting some of those bosses out of the way on mythic as well as we skipped them in favour of focusing on NH previously. 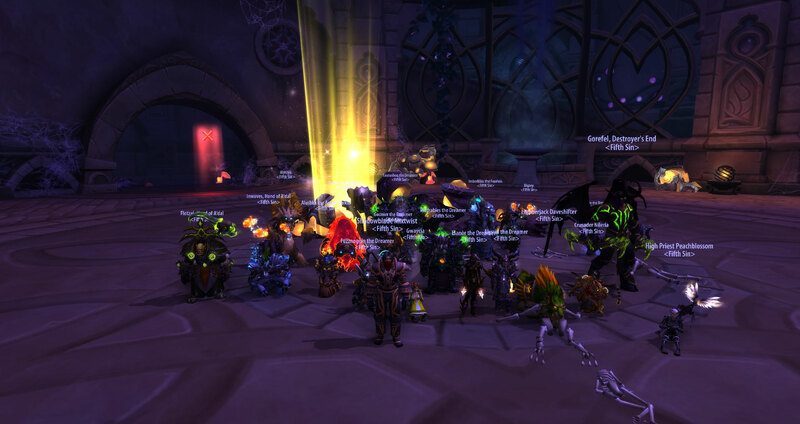 Odyn went down pretty quick, and had we had the time for more than a couple of propper attempts on Guarm so would he have. ToV hasn't rly been a focus for us, but we might just head back there again at some point to finnish it off Mby even see if Helya is amenable to go down on us? Group 4.. will always win. 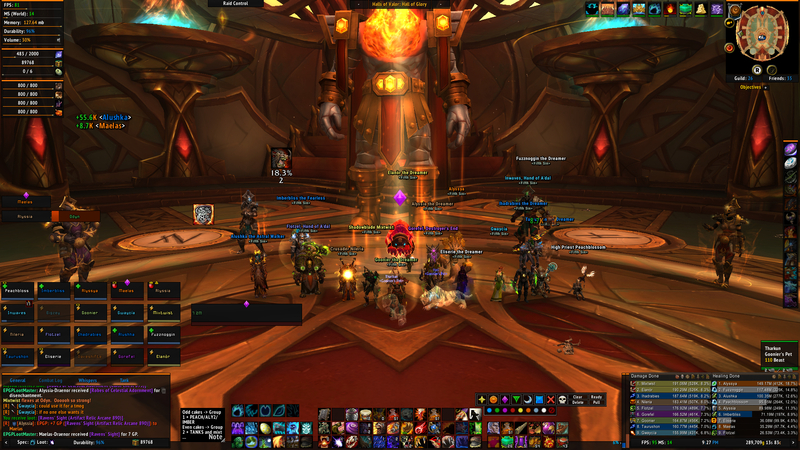 Gratz on both kills ! We decided to go for spellblade instead, had a few attempts at her and started working on p1. We might still try Krosus as well to see which one suits us best. Alyssia wrote: We decided to go for spellblade instead, had a few attempts at her and started working on p1. We might still try Krosus as well to see which one suits us best. 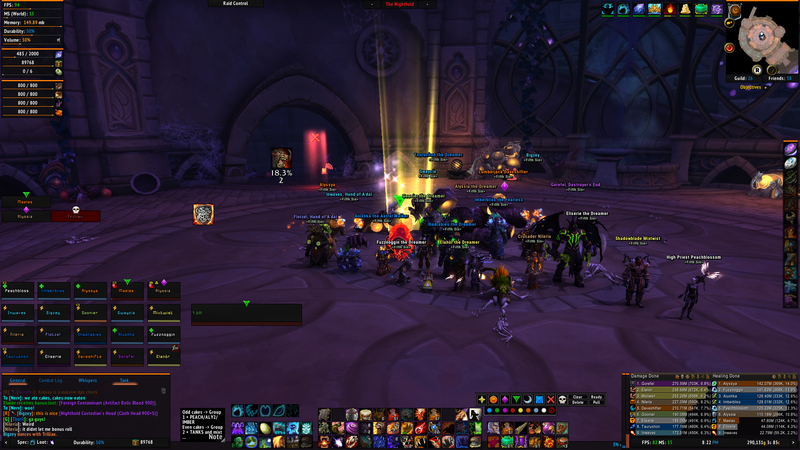 I hear Krosus is a DPS check and mechanically easier, but a hard DPS check. I don't read too much on these things anymore but still check whats out there albeit briefly, so I could be wrong. What you need to get them down is someone like me questioning every call and decision you make, a wound up Alyssia shouting on TS will get the rest of the raid focused!